Heat olive oil in medium cast iron skillet. Sautee sliced onions until lightly browned, set aside. 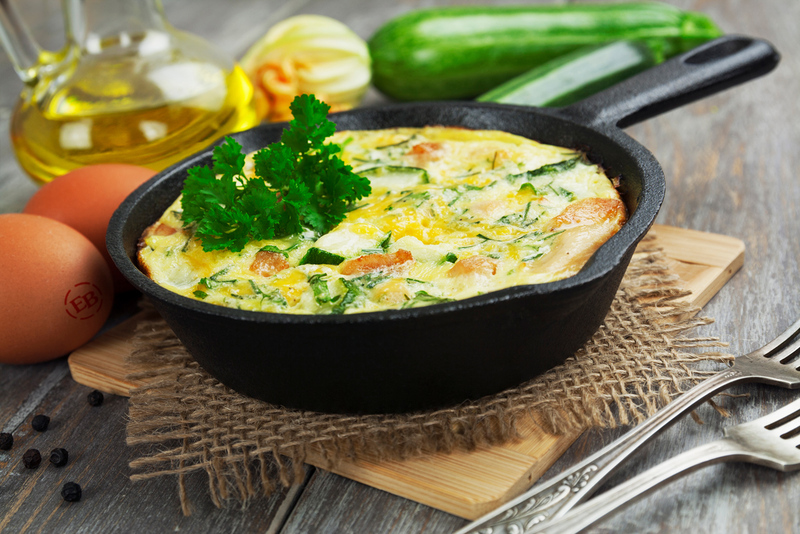 Beat eggs and yogurt together; pour into skillet. Top with onions, mushrooms, bell peppers, herbs and pepper. Cover and cook on medium-low heat for 20 minutes or until set. Uncover and simmer another 5 to 10 minutes until liquid is absorbed..